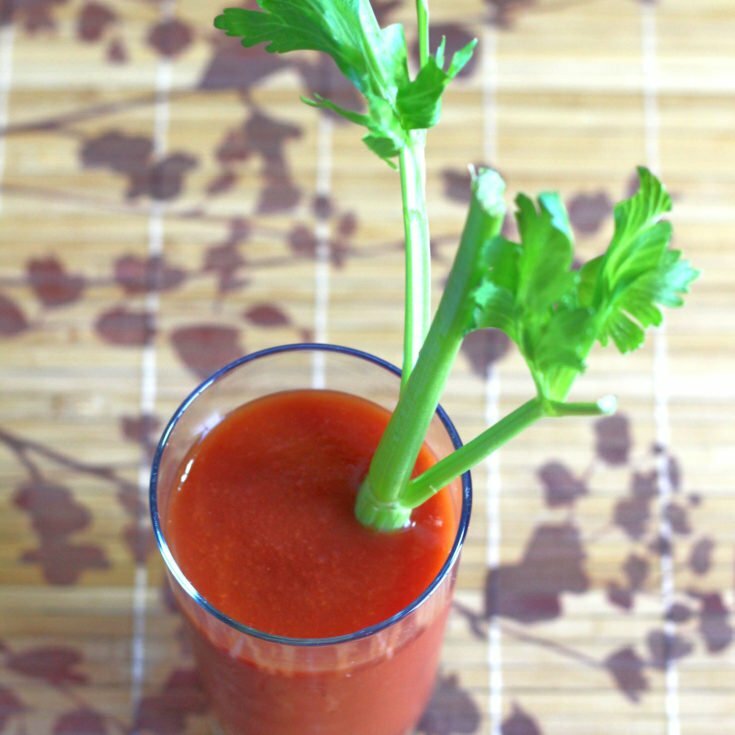 This classic Bloody Mary recipe probably dates back to the 1920s. Ever since then, bartenders have been working to improve it, and there are some fantastic variations out there. This is the simple, no-frills classic version of the recipe. The Bloody Mary is all about how you season the tomato juice. That’s where you can bring your own creativity, taste preferences, and ingenuity into play. Feel free to experiment with the measurements for Tobasco and Worcestershire sauce to get the levels of spicy and savory the way you like them. Beef stock can be a wonderful addition to the mix. Try lime juice in place of lemon juice. Try anything that comes to mind and sounds good. It’s a drink that’s hard to perfect, but even harder to ruin. Even garlic works in this drink, if you’re a garlic lover. This is also one of the all-time great cocktails to serve Virgin style. The Virgin Mary tastes almost exactly the same, just without the vodka. That makes it a great option when you’re entertaining drinking as well as non-drinking guests. The Bloody Mary is great for brunch and even breakfast, or breakfast-for-dinner, which is one of my favorite meals. It tastes great with egg dishes, such as omelettes and scrambles, or even quiche. Try it with this Spinach and Bacon Omelet from Valentina’s Corner for a hearty breakfast. The smoky and savory flavors of the bacon and spinach will bring out all the wonderful seasonings in your Bloody Mary. The classic Bloody Mary Cocktail Recipe blends vodka with tomato juice, Worcestershire sauce, Tobasco, lemon juice and celery salt. This simple recipe tastes wonderful, but you can add more Tobasco if you want it hotter. Shake all ingredients together with a scoop of ice and strain into a tall glass. Garnish with the celery stick and lemon wedge. Try adding in a little beef bullion. I melt a cube in a little bit of water and throw it in with everything else. It makes the flavor more robust. I just made it. Very smooth. Going back for another.